Pacific National is proposing to build a new intermodal freight hub in St Marys that will be operated by third party logistics provider ACFS Port Logistics. The St Marys Freight Hub will drive more containerised freight on to rail ramping up to 300,000 total TEU movements per year and taking between 70,000 and 80,000 trucks off the New South Wales road network – reducing the distance travelled by trucks on congested public roads by approximately 14,200 kilometers per day, or 5.1 million kilometers a year. The new freight hub will be a great employment generator for Western Sydney, supporting 60 construction jobs during the building phase and more than 150 full-time jobs when it starts operations in early 2020. With the population in the Western Sydney region set to grow to 1.5 million by 2036, St Marys will be a critical freight hub to support the growing demand for freight services in New South Wales into the future. St Marys Freight Hub will be built beside Dunheved Business Park, in the industrial area between Lee Holm Road, Forrester Road and Christie Street, beside the T1 Western railway line. Pacific National is currently preparing the Environmental Impact Statement (EIS) and has commenced community consultation with local residents and businesses. Subject to planning approval, construction is due to commence in July 2019 with first train planned December 2019. Established in 2015, and currently chaired by Pacific National CEO Dean Dalla Valle, the Freight On Rail Group (FORG) of Australia promotes the benefits of hauling goods and commodities by rail, and engages with government and stakeholders on major public policy. FORG pursues its vision and goals without fear or favour. Australia’s growing population and economy is fuelling an increased demand for freight in Australia, and FORG’s vision is to increase rail’s modal share by lobbying governments to encourage the use of rail freight on key strategic corridors and to invest in efficient and well-planned supply chains to better connect rail, roads and ports. 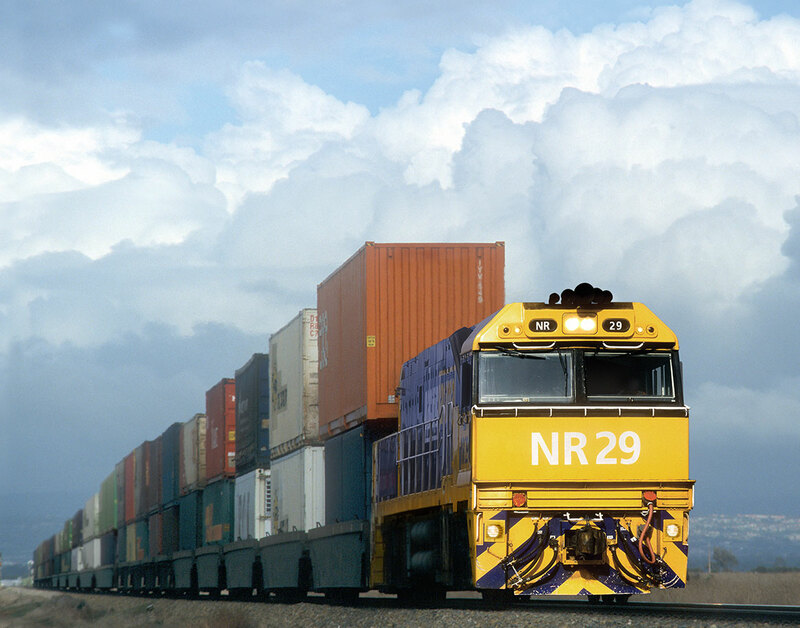 Australians are increasingly demanding safer roads, less traffic congestion, and lower carbon emissions and, with the country’s freight task predicted to double over the next 20 years, rail will need to carry a greater proportion of the freight load if Australia is to keep pace with demand. FORG represents eight of Australia’s major rail freight operating companies and network rail organisations: Pacific National, Aurizon, Australian Rail Track Corporation (ARTC), Arc Infrastructure, Genesee & Wyoming Australia, Qube Holdings, SCT Logistics and Watco Australia. The Group is seeking a policy and regulatory environment that enables the development and operation of an efficient and commercially sustainable rail freight transport sector. FORG works closely with industry and government to help achieve this outcome by researching and developing policy positions, advocating policy changes and reform that supports modal shift to rail, and providing information and expert advice on freight related issues. Click here to view FORG media releases. Parkes is known as the Elvis capital of Australia, but in the future, it will also be known in freight and logistics circles as the Memphis Down Under. Pacific National is helping to create the largest freight and logistics precinct in inland regional Australia; akin to the major freight hub of Memphis in the interior of the United States of America. Pacific National has committed an initial $35 million to develop the company’s Parkes Logistics Terminal, located within the National Logistics Hub, and acquire rollingstock like freight wagons. Pacific National’s terminal will act as a future facility to consolidate hundreds of thousands of cargo containers, including boxes filled with regional commodities destined for overseas markets, to be hauled by rail across the length and breadth of Australia. Once the Melbourne to Brisbane Inland Rail project is complete, regional enterprises can use Parkes as the launching pad to haul goods and commodities by rail more efficiently between the ports of Botany, Brisbane, Melbourne and Fremantle. Located at the intersection of the main western railway line running from Sydney to Perth, the future Inland Rail corridor from Melbourne to Brisbane, and the Newell Highway, Parkes is the perfect place to establish an intermodal freight terminal – a place where trains and trucks meet. Construction of Pacific National’s terminal commenced in October 2018. Freight trains 1,800-metres in length are expected to be hauling from the terminal to Perth in late-2019. 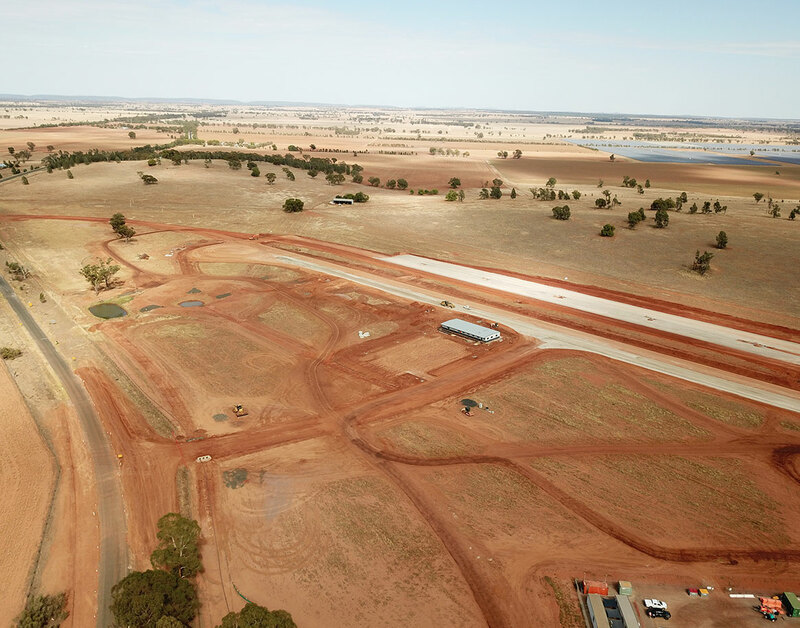 Once fully operational, Pacific National’s Parkes Logistics Terminal will have the capacity to process approximately 450,000 cargo containers each year, including the ability to haul double-stacked containers from Parkes to Perth. Pacific National is proud to be part of Parkes. Terminal construction is currently generating about 40 jobs, while the future terminal will have a workforce of 100 people. One of the largest private sector investments in freight and logistics infrastructure in regional Australia, helping to give the Australian Government’s $10 billion Melbourne to Brisbane Inland Rail project added momentum. Pacific National owns 365 hectares at Parkes. A single 1,800-metre freight train hauling containers is equivalent to removing 70 B-double trucks from our roads. A 2017 Deloitte Access Economics report found for every tonne of freight hauled a kilometre, road freight produces 14 times greater accident costs than rail freight and 16 times as much carbon pollution. At Pacific National we recognise that the responsibility of rail safety extends beyond rail organisations to educational and community service groups, governments, road user groups and the broader community. That’s why Pacific National is a founding member of the TrackSAFE Foundation, established by the Australian rail industry in March 2012. 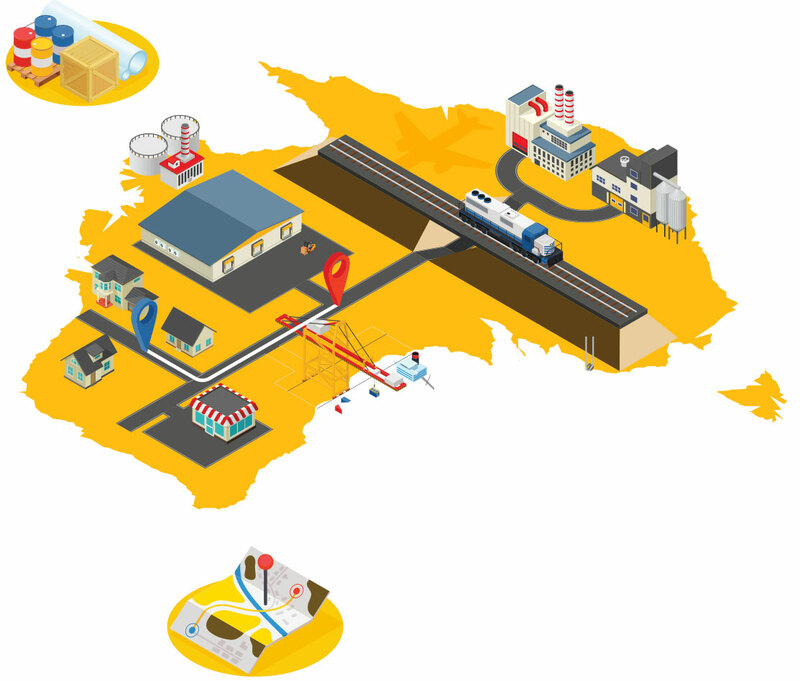 TrackSAFE aims to reduce collisions, near collisions, injuries and fatalities on the rail network resulting from suicide, reckless behaviour and human error, and to create a better workplace for rail employees. A national approach to rail safety, TrackSAFE focuses on reducing level crossing safety, reducing suicide and trespass incidents, and providing support for rail industry employees who witness, or are first on the scene to traumatic rail incidents. All these incidents have a significant impact on rail workers, particularly drivers, who witness them. Pacific National works with TrackSAFE to see how we can provide a safer workplace for all of our employees and to find ways of providing more support to anyone who does witness an incident. Reducing the number of people trespassing on train tracks and rail property. Providing additional support for rail industry employees who witness or are first on the scene to these traumatic incidents. You can find more information, news and project information on the TrackSAFE Foundation website. Australia’s leading freight and coal rail services operator, and moves regional exports, bulk goods, grain, and agricultural products on the eastern seaboard, Pacific National makes a significant contribution to Australia’s economy, gross domestic product, and communities, annually.